We are partners in potential. Our donors have proven over and over again that everything is possible at St. Luke's. Our goal is big. We seek nothing less than the future success of generations of students. Your gift is your belief—in education, in St. Luke's, and in the potential of our children. Thank you for continuing to take us Above & Beyond. Many companies offer programs that will "match" charitable contributions made by their employees, employee's spouses, or retirees. Corporate gift matching can sometimes double a donation to St. Luke's School, extending the benefits that our students receive through your generosity. To find out if your company will match your gift to St. Luke's, please visit our Matching Gifts Database or consult your human resources department. Credit card gifts are fully tax-deductible and allow you to take advantage of your credit card's award program by making a gift online. To make a donation with your credit card, you can use our online giving form or contact Jeanine Haberny, Development Associate, or Kathleen Murphy, Annual Fund Director. We accept Mastercard and Visa. We do not accept American Express at this time. For details on making a gift of stock or securities, please download the Gifts of Securities Form. Donors are advised to consult with their own legal, tax, and estate planning professionals when considering gifts other than cash. Please contact the Development Office at (203) 801-4859 with further questions. A pledge demonstrates your intention to make a gift to SLS and it can be fulfilled in multiple installments or in a single contribution. This allows a donor to give more generously over a period of time. To make a pledge please contact our Development Office at (203) 801-4859 or email Kathleen Murphy, Annual Fund Director. Making a bequest to St. Luke's is one way of making a larger gift than you thought was possible. It involves no immediate loss of capital or income, and tax benefits minimize the ultimate cost to one's heirs. Please talk with an estate planning professional about putting St. Luke's in your will and let us know of your thoughtfulness. Complete details are available on our Planned Giving page. For information on making a wire transfer, please contact Kathleen Murphy at 203-801-4889 or murphyk@stlukesct.org. Why should I make a charitable gift to St. Luke’s School? St. Luke’s School is a not-for-profit, 501c(3) organization. 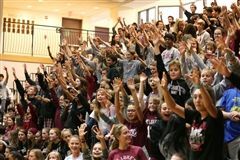 As such, St. Luke’s depends on charitable donations to address the difference between tuition revenue and the actual cost of operating the school. Your donations directly benefit St. Luke’s by providing funds to offer better compensation packages to teachers, purchase equipment and maintain facilities, and attract a diverse student body. 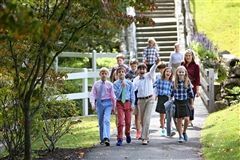 In aggregate, strong participation among families signifies support for the work of the faculty and is an important benchmark to foundations that fund independent school programs and to prospective families looking at St. Luke’s School. When you consider your charitable giving this year, we hope you will consider St. Luke’s to be among your giving priorities. The Development Office accepts cash, checks, Visa, MasterCard, gifts of stock, and certain planned giving vehicles. Please see our complete list of giving options here. For your convenience, you may make your gift online or by contacting the individuals below. All gifts, for which you do not receive goods or services, are tax-deductible. Annual Fund, Senior Gift, Capital Campaign, and scholarship donations are fully tax-deductible. We encourage you to give a gift that is meaningful to you, reflects your enthusiasm for St. Luke’s School, and works for your family. Since families have different financial situations, the amounts differ. All gifts are welcome and needed. Please feel free to review last year’s Annual Report to see the levels at which other members of the community chose to participate. Which fund(s) should I support? When you consider making a gift to St. Luke’s we hope you will first consider supporting the Annual Fund. The School depends on Annual Fund donations to cover nearly 7% of the annual operating budget. Last year 90% of parents and 100% of Trustees made Annual Fund contributions, along with members of our alumni and past parent communities. St. Luke's is currently in year 4 of a 5-year capital campaign. We hope every family will participate in a way that is meaningful for them. To learn more about the Momentum Campaign please visit our campaign webpage or contact the Development Office. Does St. Luke’s School accept gifts from corporate matching gifts programs? Yes. Please let us know that your company makes matching gifts and we will help expedite the process. 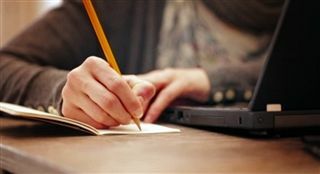 To find out if your company will match your gift, please visit our online matching gift database. I volunteer my time at St. Luke's. Should I also make a donation? In order for St. Luke’s to thrive families contribute with their hands, hearts, and financial resources to the extent made possible by other personal and financial commitments. Parents who volunteer their time are vital to the success of the school, and because of their close involvement in the school, may have an even great appreciation of the goals we are trying to reach. We ask our volunteers to support those goals through charitable giving. 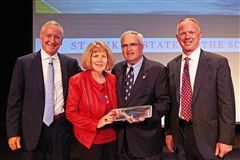 As an alumnus, why should I give to St. Luke’s? As an alumnus, you are already committed to St. Luke’s mission of creating lifelong learners and socially responsible citizens. As a student, you benefited from the generosity of donors who stepped forward to address the needs and intiatives of your generation. Your gift will do the same for the current generation of St. Luke’s students. 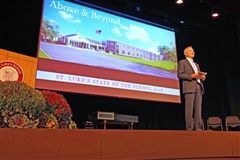 The sustainability of St. Luke’s school depends on the generosity and involvement of St. Luke’s Alumni. What is the difference between fundraising done by the Development Office and the Parents’ Association? 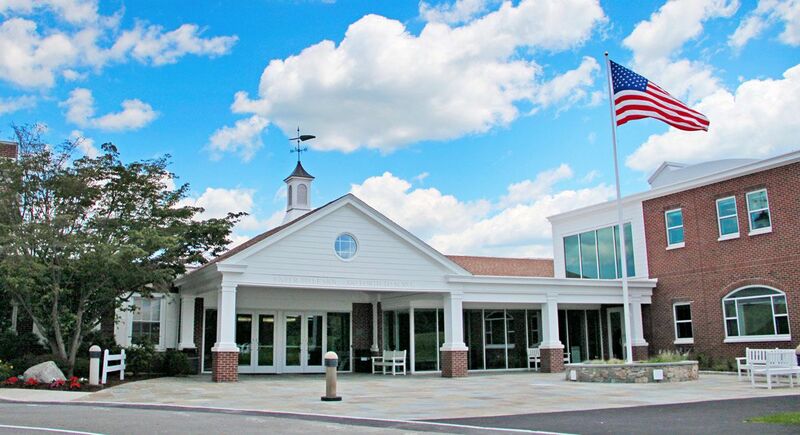 The Development Office handles fundraising for school operations (Annual Fund and scholarships), capital projects (New and renovated facilities) and endowment. 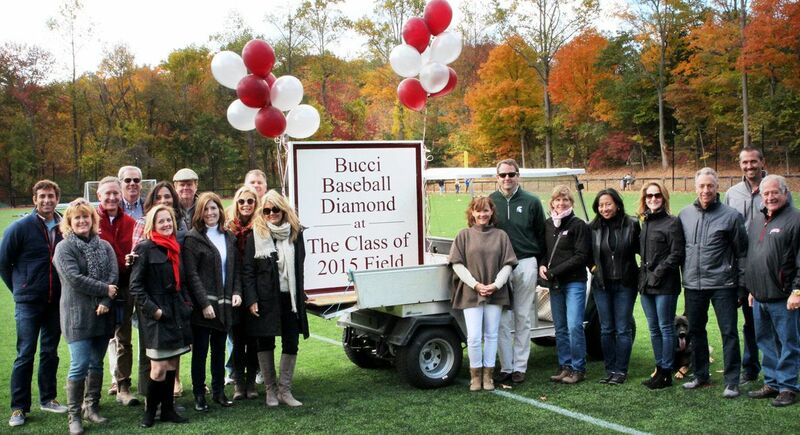 The Parents’ Association handles fundraising for additional student enrichment, community-building social activities, and specific initiatives determined by the School and the Parents' Association. The Development Office and the Parents’ Association closely coordinate activities. Simply stated, Annual Giving provides “money to live by,” and a Capital Campaign provides “money to grow by.” Annual Giving is an ongoing, continuing effort that’s integral to our core operations and is designed to offset annual operating expenses. Capital Campaigns are intensive, multi-year fundraising efforts to secure support for special initiatives, such as facility enhancements, endowments and program development. It is our hope that parents will support the Annual Fund, Parent Association initiatives and capital efforts to the best of their ability. Will my giving be recognized in School publications?